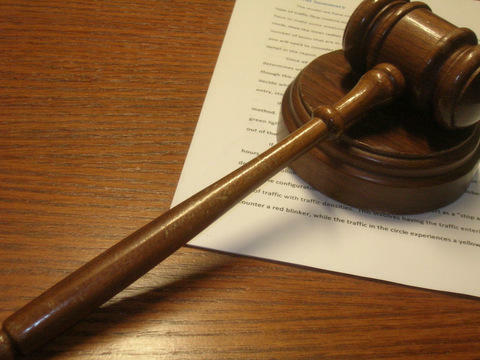 A new report says Texas' 10 vacant seats judicial seats translate into backlogged cases. Texas is in a judicial vacancy crisis according to a report released today by the liberal Center for American Progress in Washington and Austin-based Progress Texas. The report shows Texas has the most vacant federal judge seats of any state, with 10 spots open as of March 19. The report warns those 10 vacancies could grow to 13 if no action is taken, since three more seats are set to open up next year. Those 10 vacant seats translate into backlogged cases, with especially high caseloads along the U.S.-Mexico border, the report notes. The majority of current and future vacancies also happen to be concentrated in the southern and western parts of the state. Seven of the ten vacancies are within the district courts, and three are in the 5th U.S. Circuit Court of Appeals. The Administrative Office of the U.S. Courts has declared four of the district court vacancies and all three of the 5th Circuit vacancies “judicial emergencies”. The report blames U.S. Senators John Cornyn and Ted Cruz of deliberately delaying potential nominees. The Senators say President Obama has not moved fast enough with nominees. “There’s no doubt Texas has an abundance of qualified, diverse candidates to serve on its district courts and the 5th U.S. Circuit Court of Appeals." The Texas federal courts have not operated at full capacity since 2008. On Nov. 30 of that year, U.S. District Court Judge W. Royal Furgeson Jr. of the Western District of Texas took senior status, or semi-retirement. Today his seat remains unfilled.